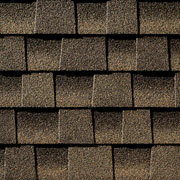 Tamko Heritage 30 and GAF Timberline HD are our stock laminated shingle brands. We can get the other shingle brands that are listed above in a few days! Give us a call or send an email if you don't see what you are looking for. 3-tab shingles are also available from most of the companies listed above. Visit the links at left and above to view color options. The GAF One-to-One is an awesome interactive experience to help narrow down your shingle choices in a crowded market! The Tamko videos are an excellent installation resource.